This book develops a creative theoretical framework for understanding the welfare state: the theory of the state and the idea of welfare connected to autonomy. 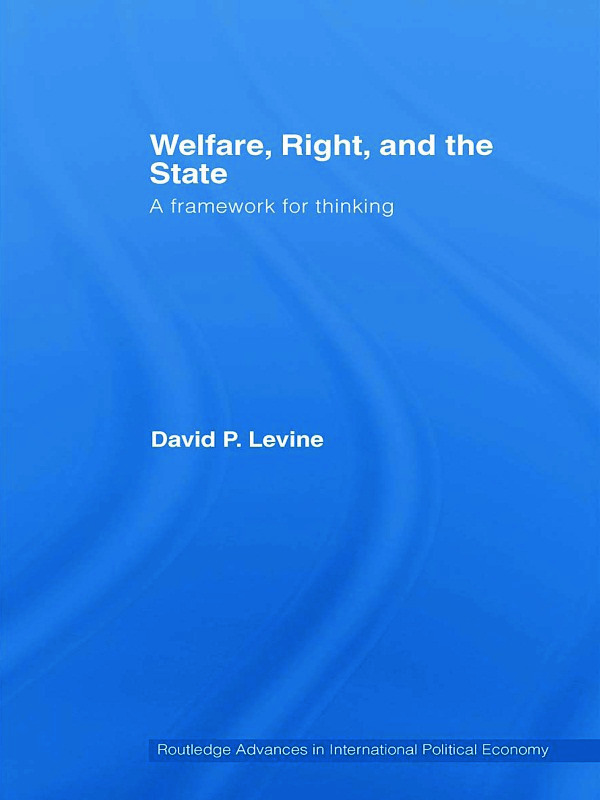 Written by a well-known expert of political economy and welfare, it explores the nature of welfare and connects welfare not to basic needs, but to what Levine refers to as the capacity to lead the self-made life, considering different ways of grounding the claim that providing for the welfare of citizens might be considered a duty of the state. Welfare, Right and the State will be of interest to academics and advanced students working in the field of social administration, sociology, political science, economics, philosophy, international studies and social work.